In the past my wife and I often struggled with finding intimacy with God. One of the biggest reasons for this was the fear that when we spent time alone with Him all He was going to do was point out everything in us that was wrong. We know that intimacy is born from spending time together so you can imagine why intimacy with God was hard. Nobody really wants to spend time with someone who is just going to point out our failures. That’s not my idea of a good time. I think this is something many of us struggle with. Sinners in the hands of an angry God right? I think that’s how many of us feel when we come before Him. We have become convinced that when He looks at us He is frowning rather than smiling. How can we pursue intimacy with God under that kind of perception? I think the answer is that we don’t. We kind of run in the opposite direction and though we don’t leave our faith, we certainly don’t pursue anything deeper or greater. We become stalled. You know what? It’s hard to blame anyone for coming to the understanding of God being perpetually angry. It can sometimes be difficult to think anything else when we find passages from Paul that tell us the wrath of God comes on us through our sinful choices (Eph 5:6). That word wrath is so hard. “I’m going to pour out my wrath on you!” Nobody wants that especially from God. But what if we’re just misunderstanding passages like this? I am confident in the centrality of Christ, that is Jesus is the center of everything. My understanding is that all interpretations of scripture (especially those speaking about the Father) should flow through Jesus instead of only coming up beside Jesus. 2. Where is it demonstrated in the life of Jesus? The answer to the first question led me to discover the Greek word for wrath in this case. It’s ORGE and it signifies anger. It’s just anger guys. It’s not hell, fire and brimstone. The answer to the second questions led me to Mark 3:5 when Jesus healed the withered hand despite being judged because it was the Sabbath. The word “anger” used in that passage is the same Greek word used for wrath in Eph 5:6. I think the context in the Mark passage clearly shows us that Jesus was experiencing the emotion of anger. It’s an emotional response based on the attitudes of the people. He was grieved and He was angry. BUT…He didn’t condemn them. He didn’t judge them. He didn’t stop loving them or desiring that they change. He didn’t write them off. He continued to love them. I think that many of us have a tough time with the idea of God being angry with us. Quite frankly, I think it’s pretty silly to think He doesn’t get angry with us. He is a God of emotions and those emotions are displayed in the life of Christ, including anger, more than once. He is not an emotionless robot and we do things that do and should make Him angry. The critical difference is (and I think this is why many have a hard time pursuing a God who could be angry with them) is that His anger doesn’t look like the anger many of us grow up with. His anger does not include abuse. It does not include emotionally damaging words or spiteful punishments. It does not include abandonment. It does not include many of the things we’ve associated with anger because of what we’ve seen and/or experienced. He sees us through a lens of love despite being angry with our actions. He never ceases to be love. He is full of love and quick to forgive. He doesn’t keep a record of wrongs. He will put His arm around us instead of crossing them at us. He will gently correct instead of ignore. We must recognize that though God is emotional emotions don’t EVER control Him. That in itself is quite the opposite of what we’ve seen of anger. It’s okay for God to be angry. We should be confident that He’s waiting to love us and not condemn us even if He happens to be angry with us for something we did. Loving Him back means we recognize what we did and apologize. Then we move on in intimacy and relationship. View the Trailer for our new book, Life Resurrected, Extraordinary Miracles through Ordinary People Here! Firefighter/Paramedic, Author and minister of the gospel. 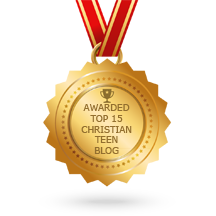 This entry was posted in A CLICK A BLESSING TODAY, CHRISTIAN FOUNDATIONS OF BELIEF, CHRISTIAN LIFE AND THE WORD, CHRISTIAN NUGGETS, CHRISTIAN TAGALOG BLOGS, FAITH CHILD, PRAISE THE LORD TESTIMONIES, SHARING STRUGGLES , Shaping Spiritual Solutions! and tagged Christian, dead raising, faith, Family, freedom, God, healing, love, miracles, raise the dead, Resurrection, supernatural, teaching, testimony. Bookmark the permalink. Jonathan Edwards delivered his sermon, Sinners in the Hands of an Angry God, nearly 400 years ago. It is amazing how much his fiery words stay with us today. “Anger” in these situations can also be seen as severe disappointment. God has laid out not only His expectations in simple terms (love your neighbor), but also how to achieve them. OOPS! That’s 300 years ago! Thanks Art. Jonathan Edwards was certainly a fiery man 🙂 Thanks for your comments. Doesn’t that say we have been save from wrath? So isn’t it a non concern? Thanks for your question. A couple of things come to mind. 1. As I said above the Greek word for wrath implies anger with no implications towards eternal salvation or final judgement. I know that many times when we hear about God’s wrath our minds go right to the issue of salvation but I don’t necessarily think it should. God is an emotional God as reflected in the life of Jesus and I think we should give Him the freedom to express them in our theology. 2. Covenant vs. contract. A contract approach to our relationship with God forces us to operate on a I did this now you do this basis with God. In this approach it’s not about intimacy it’s more about quid pro quo. For example, I surrendered my life to God now I’m entitled to all the things I feel scripture promises including, as your question suggests, safety from God’s anger. Not many of us would readily admit to this approach probably because we don’t know its there (it’s the same problem existing in so many marriages) . But the problem is that Jesus didn’t die on the cross holding a contract. He died inviting us to share in his life. In covenant both parties invest themselves into each others life. That’s why John wrote in 1 John 2:6 if we say we abide in Him we should live like Him. Again, surrendering our lives does not mean we say the sinners prayer and then automatically gain what the kingdom has to offer. That’s a contract approach. Surrendering ourselves to God means that we invest ourselves in His life as He did in ours when He died. We do this because we want to be one with Him as Jesus prayed in John 17. We are desperate to share in all His love and all His kingdom has to offer. The apostles understood this and wrote from a covenant view rather than a contract view. In Romans 5 Paul is explaining to the Jews all that Jesus made POSSIBLE for us. That we now have the ability to share in God’s life because of Christ. It’s all about Jesus! And the more we learn to share in His life, the more we are rescued from the dominion sin has in us (vs 10) and therefore the less we do that makes God sad or angry. If you can think about it like a parent, the more my kids seek to share in my life because of their love for me, the less they are going to do to hurt me. But if they do mess up I might get angry but it’s okay because I’m an emotional being.